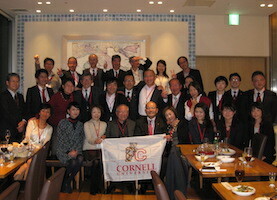 The Kansai chapter of CHS helps to expand Cornell’s professional and social network by hosting alumni events several times a year, including Spring Gathering and Zinck’s Night in October as well as an annual golf tournament. We look forward to having you join us for the fun in Western Japan! 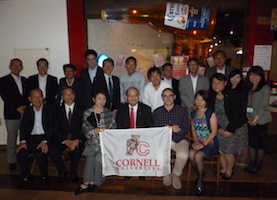 On June 1, 2018, the Kansai Chapter celebrated the 90th anniversary of the Cornell Hotel Society at the Kobeya Sylphide restaurant in Osaka. In April 2018, Daniel Quan Ph.D., Robert C. Baker Professor in Real Estate, SHA and his students visited Tokyo for a field trip. 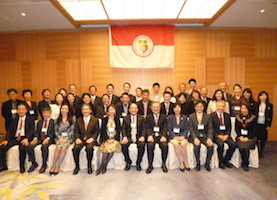 On February 15, 2018, CHS Japan held their annual General Meeting and New Year’s party.